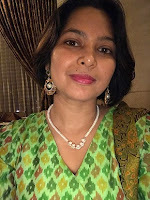 Dr. Jindagi Kumari is Assistant Professor at Maharaja Surajmal Institute of Technology, New Delhi. She teaches English Language and Communication Skills to B. Tech First year and Third year Students. The area of her research interests are Indian English Poetry, Indian English Fiction and Post-colonial Studies among others.